The working party split into two. 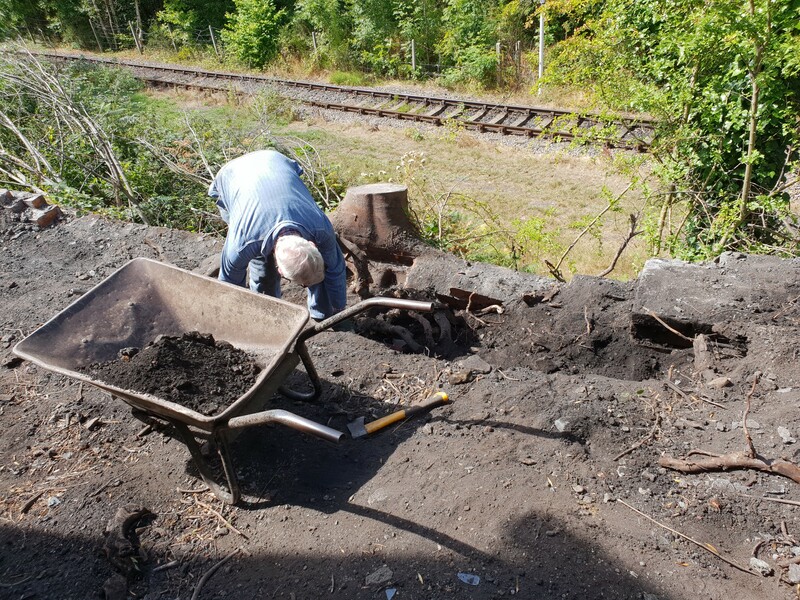 Firstly Steve, John and Glen continued the careful but hefty work of digging out the roots weakening the retaining wall behind the winding engine house. 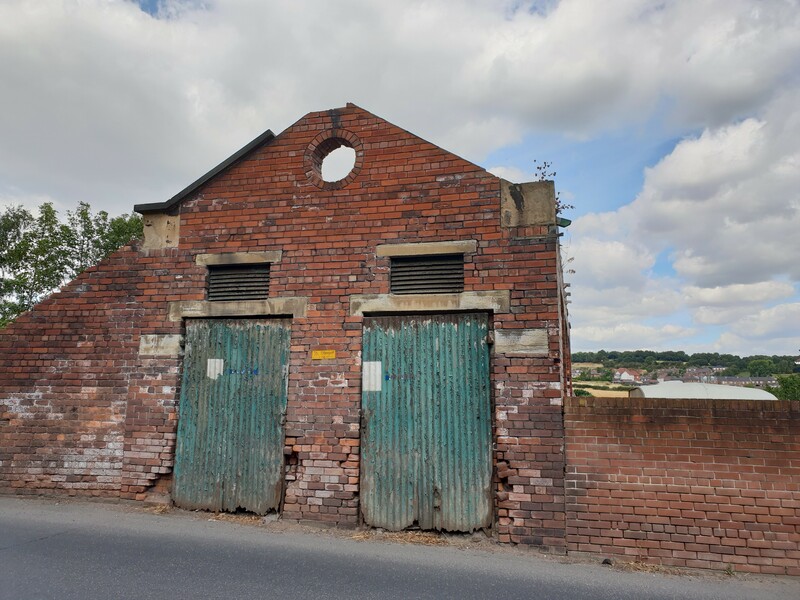 Over the course of the morning, building on the efforts of the last open day, they removed a considerable volume of earth, setting out a clear cut-edge, stepped back from the unstable retaining wall. 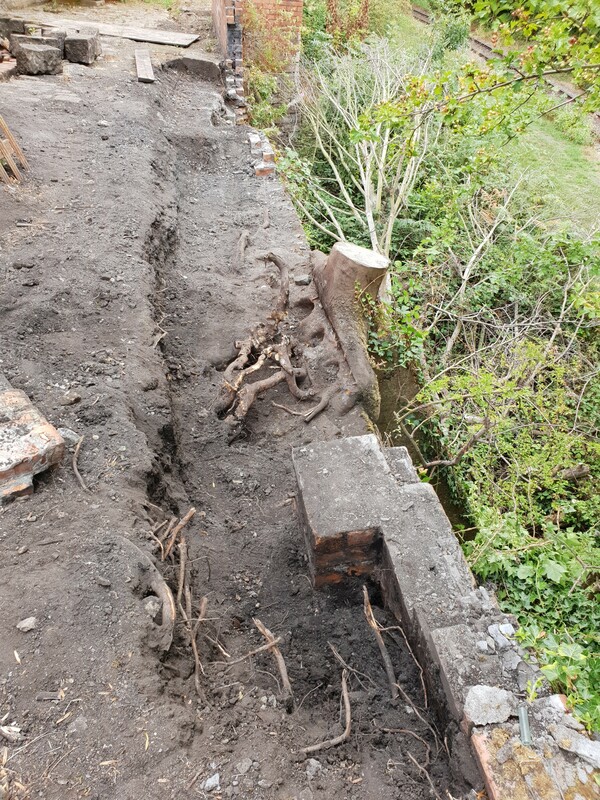 As the solid edge became clearer, so too did the extent of the root system of the awkward tree (now just a stump) sat atop a concrete wall buttress. Roots, roots and more roots were the refrain of the day, and digging them out, revealing their breadth, depth, girth, size and shape was the source of endless comment, if not quite fun exactly. Hacking, digging and sawing away; trying a little axe-work from time to time, the crew made steady progress. 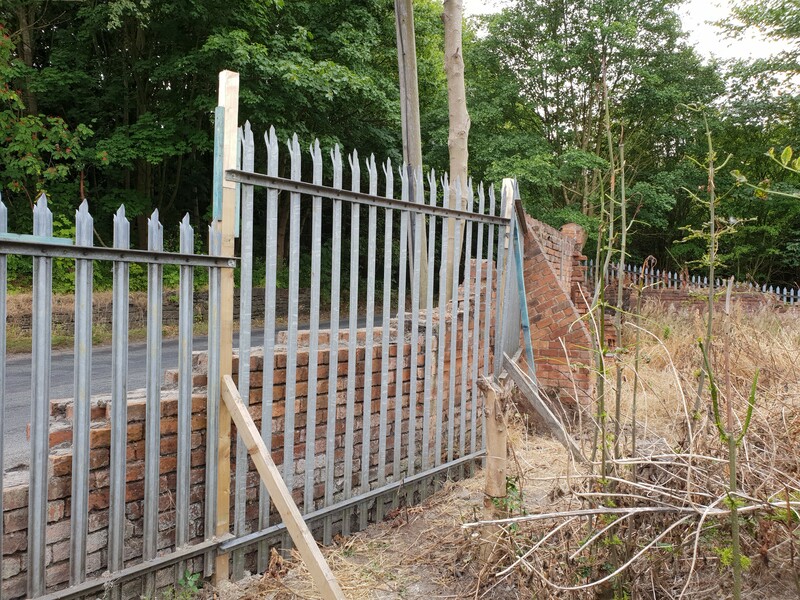 Elsewhere on site, by the Wath Road entrance, Site Manager Glen and Chris, had a go at upgrading the fencing by the boundary wall. Unfortunately the site still has some unwelcome attention, so ensuring security continues to be important. Assisted by Steve and John, some larger railing paneling was brought up to the front and fixed into place. Away from the working party tasks, the Friends are always delighted to welcome guests to the site. 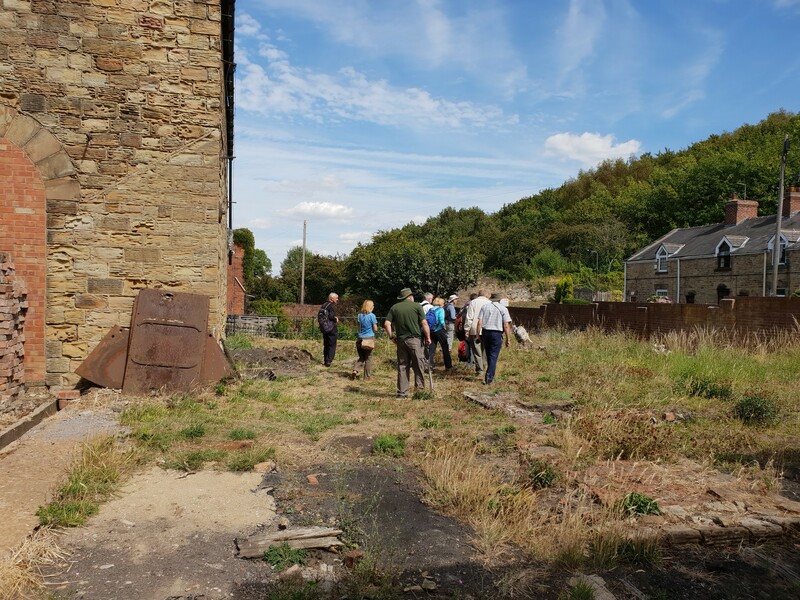 This weekend was a particularly happy one as we welcomed the Black Country Society‘s Industrial Archaeology Group who were visiting Elsecar and the surrounding area. 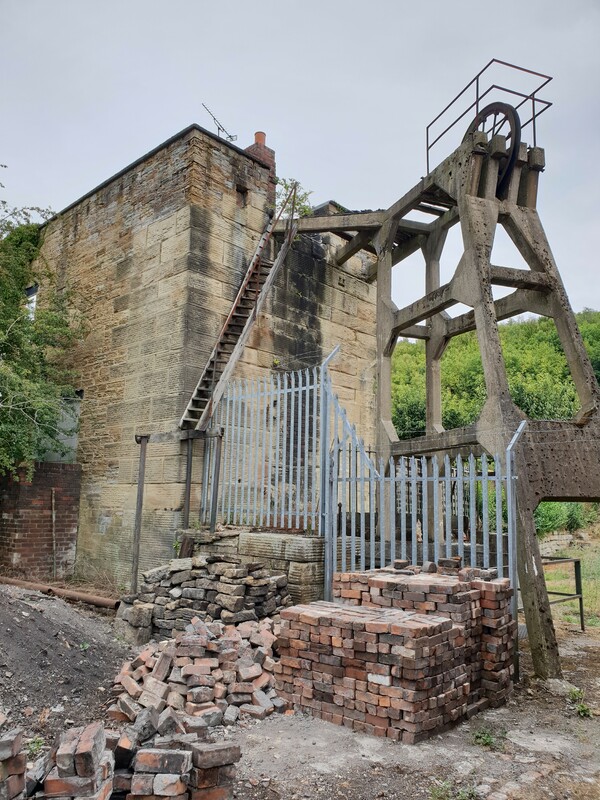 Connections between the Black Country Society and the Friends of Hemingfield Colliery run deep, with volunteers Alan and Nigel having deep knowledge of the site, its context and development alongside the ironstone mining and ironworks at Elsecar and Milton. 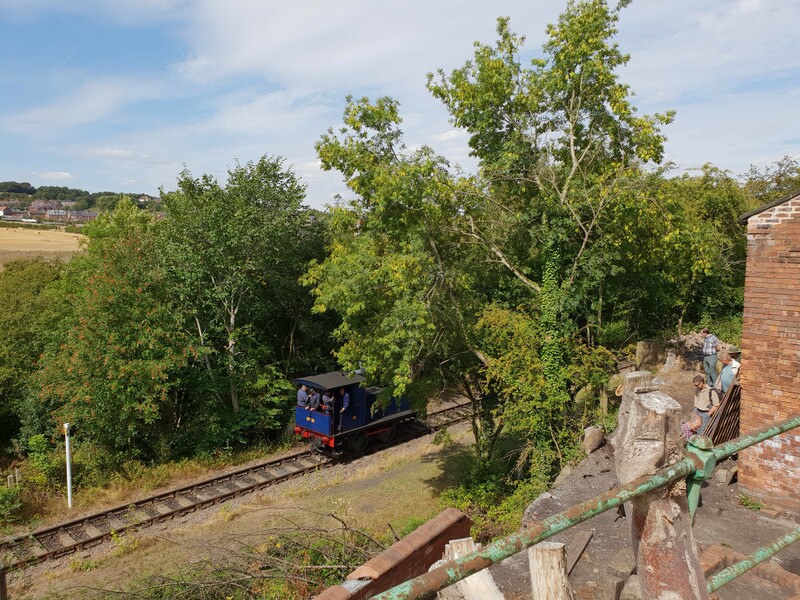 It was another sunny and warm day to be out in the open, and right on queue our friends from the Elsecar Heritage Railway steamed by on the line below, providing the visitors with a wonderful connection to the colliery’s past working life, both rail and canal transportation can be seen in context at Hemingfield, and the birth, working life, and ultimate closure of the pit are closely tied to the story of the wider industrial undertakings on Earl Fitzwilliam’s estate. Guiding visitors around the site, and describing the history we have uncovered to date; its associations with Wentworth, and the scale of employment in what now seems a quiet, almost rural corner, is always a pleasure. Whilst working hard at working parties, we are fundamentally here to share and celebrate the story, and connections of the pit with the wider world, both the local community, but also interest groups like the Industrial Archaeology Group who were pleased to walk down the Elsecar branch of the Dearne and Dove Canal, pass by the listed Hemingfield Basin, and join us onsite for a tour and internal exploration of our former colliery buildings. Our thanks go to our visitors and volunteers for their keen interest and ready support. ← Milton Gala 2018 and Milton Dig!